You don’t expect to call to mind Jurassic Park on a break in the UK. But, during a short rest-stop on a bike ride around St Mary’s, the largest of the Isles of Scilly, that’s exactly what pops into my head. Maybe it’s the sense of isolation; perhaps it’s the rugged terrain. I think what sets it off is the pink wildflowers that dot the landscape around me. Whatever it is, I half expect to see tiny squawking dinosaurs running across the road as a bright yellow 4x4 drives slowly past, a dorky kid with binoculars peering out the window. 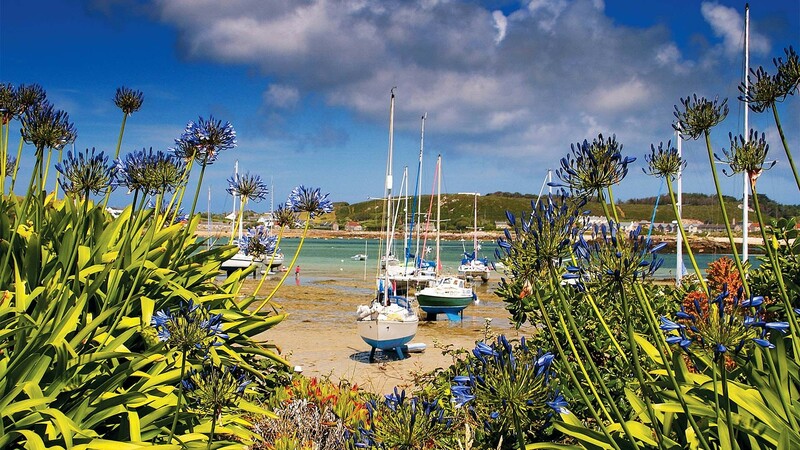 The point, if there is one, is that Scilly is not a place that feels like Britain, despite the archipelago sitting just 30 miles off the tip of Cornwall. This curious collection of islands, with its brilliant blue waters, white sands and occasional nesting seals, is more akin to something out of a movie; something surreal. In its largely deserted sandy bays it feels like The Beach; on its crests and crags it’s like being in Lord of the Rings. In its isolated, clearly British but still otherworldly small-town charm, complete with castle ruins and old cannons, it feels like The Wicker Man or Kill List (without all the bad stuff, clearly). 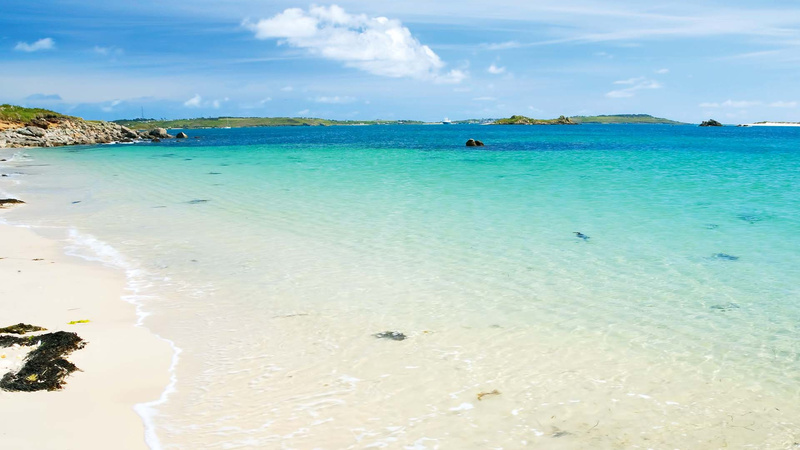 There has, in fact, been a film set here – 2010’s Archipelago, starring Tom Hiddleston and set on the resort island of Tresco. Predictably, not a whole lot happens in it. 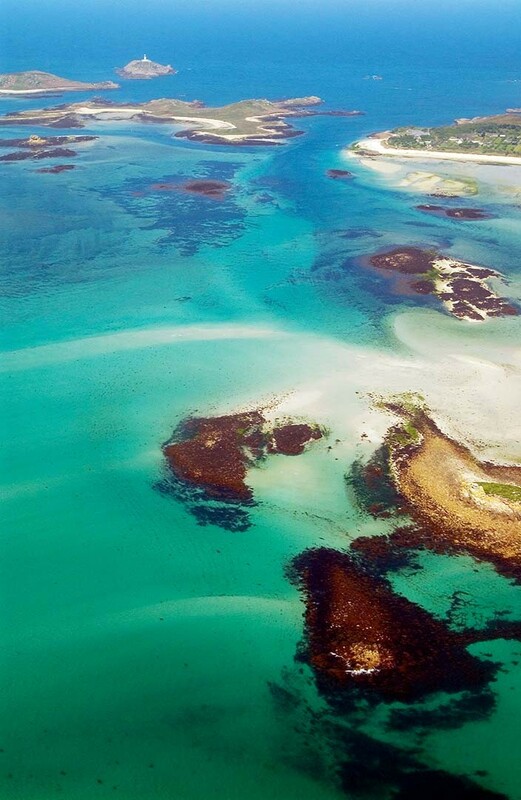 Travelling between Scilly’s islands by boat – the main ones being St Mary’s, which anchors most of the tourism here and has a population of 2,200ish; along with St Martin’s, Bryher, St Agnes and Tresco, home to around 500 permanent residents between them – the Isles’ lush, shapeshifting landscape makes itself known in an incredible display of visceral physical geography. What all of them have in common is astounding beauty and a prevailing sense of peacefulness. To holiday here is to have it confirmed that those photos you saw on the internet that “you won’t believe were taken in Scilly” a) definitely were and b) are pretty much par for the course. I can’t pretend all of the Isles are breathtaking, rocky outcrops. In its cafes and on its bustling (relatively speaking) beaches, it feels like, well, Cornwall. Especially when the sun’s out. It’s a strange juxtaposition – a British community feel set against a thoroughly non-British, almost tropical-looking backdrop. 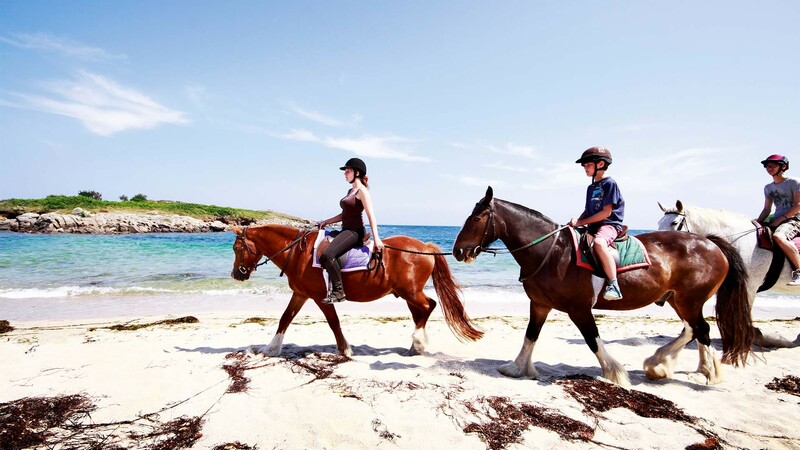 Even the people who’ve left the mainland to set up cafes or bike hire companies here – who aren’t just here for a quiet weekend – admit that it feels like time goes slower. Which makes a weekend away feel, really, like a week off. You could forgive its residents for never pausing from gawping at the scenery long enough to do something, but they do. Goods are delivered weekly by boat, and competition here is thin on the ground, but tourism is what these islanders do, and they do it well. As well as boating trips abounding, there are some great restaurants, a thriving local art scene (I couldn’t resist taking home a lush painting of a native puffin taking flight by artist Steve Sherris), and even a winery. Robert Francis runs Holy Vale Wines, a virginal plot of land where the vines are still young, but whose first couple of vintages are producing really promising results. Francis loves giving tastings of his wines alongside others he hand-picks, and these days he’s so focused on them that he’s handed over stewardship of the hotel I’m staying in, Star Castle, to his sons. 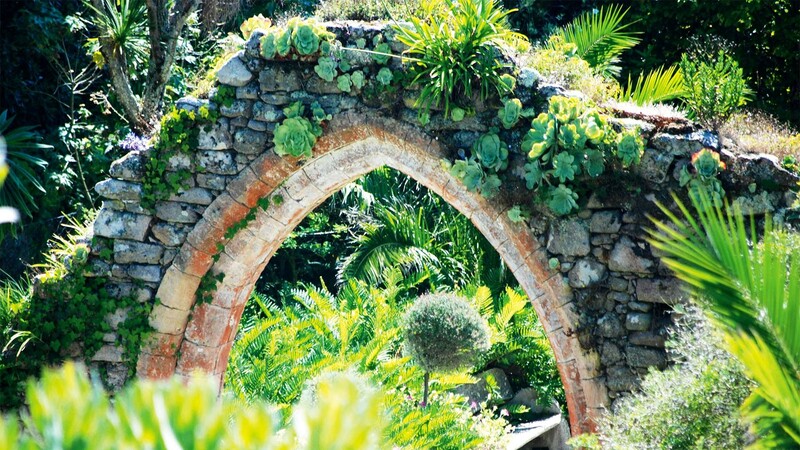 The food – especially the seafood, as you’d imagine – is great, and the name is pretty self-explanatory: the hotel is a hollowed-out and lovingly restored eight-pointed castle, a relic from the late 1500s, when the islands were used as a defensive outpost against international aggressors. That’s not the first of the Isles’ plot-points, either – evidence suggests the islands have been inhabited since at least the Stone Age. Although it punches well above its weight in terms of its food and attractions, when you consider its population, those aren’t the things that should govern a trip here. 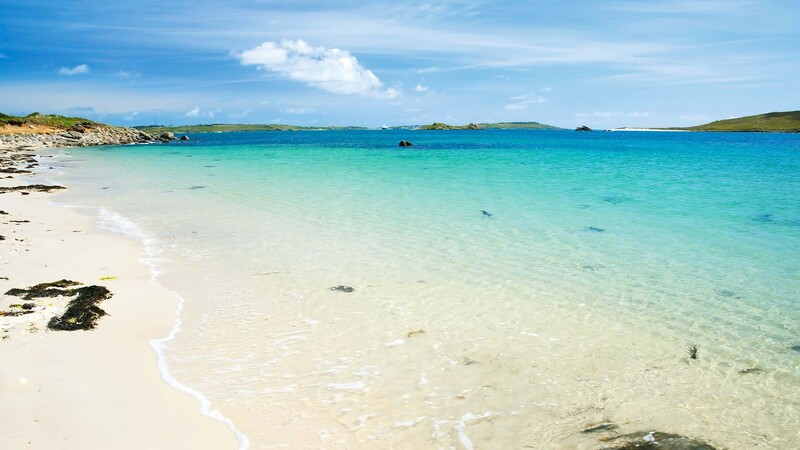 My enduring memories of the Isles of Scilly are of that bike ride, with the constant, distant hope of catching a group of seals making their home on its rocky bays fresh in the mind. They’re of flying into the tiny airport on an eight-passenger plane. They’re of long, slow walks around the pretty-much-deserted Bryher or the more isolated parts of St Mary’s, where the only thing that stops you in your tracks is the jawdropping, computer wallpaper-like views. They’re of lying on a beach in what’s ostensibly Cornwall and feeling like you’re halfway around the world. They’re of not having phone signal, but not even once caring about it. I didn’t see any dinosaurs; I didn’t go on any quests of note – in fact, if I tried to write a film that took place here, there’d be plenty of beautiful, sweeping scenic shots, but not that much of a plot. Sometimes, though, that lack of action – that lazy pacing – is exactly what you’re looking for.